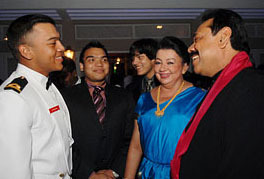 President Rajapaksa’s two elder sons, Namal and Yoshitha, are listed among the top fifteen shareholders of Ascot Holdings PLC according to the company’s interim financial statements. According to this list, Y.K. (Yoshitha) Rajapaksa owns 100,000 shares and L.N. Rajapaksa (Namal) 92,000 shares as at Sept. 30, 2011. Nimal Perera, financial advisor to Dhammika Perera and on the boards of companies controlled by him, is also in Ascot’s Top fifteen list with 269,200 shares. Total assets of the company as at September 2011 were Rs. 1.25 billion and liabilities approx. Rs. 600 million. The directors of the company are Messrs. V.P. Malalasekera, Chairman, Rohan Iriyagolle, N.D. Gunaratne, N.A. de Mel, Chanaka de Silva and D.J. Gunaratne. Corrupt family, how they earned this money? they must explain!! MR’s children are good in looting but not in shooting like Merv’s children – let’s thank God for it. No, my friend, how they earned this money is the problem. KEEP ROBING YOU 3 ROBERS , GOD IS WATCHING YOU FROM TOP , GOD WILL PUNISH YOU AND YOUR WHOLE FAMILY THE DAY GEN. IS OUT . THE DAY ALL SRILANKANS CAN BE HAPPY THAT DAY…………..
Amazing what power can do…. 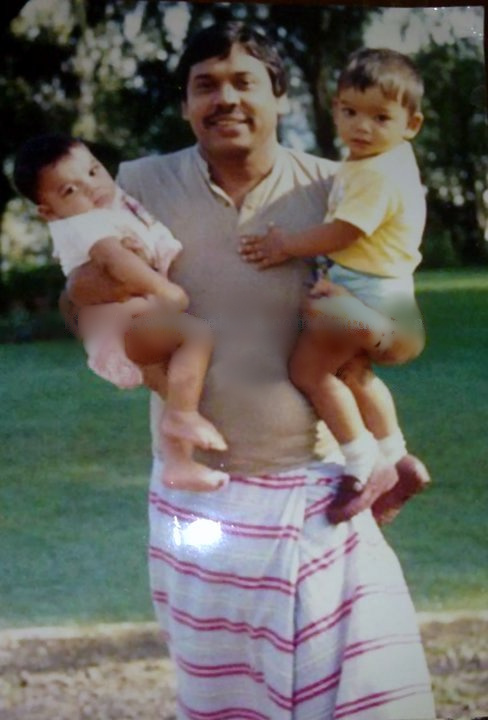 As time goes on all state land and, to some extent private property, will be owned by our synthetic lawyer, Namal. Like father like son!! See what happen to Mervi after God Kali’s insident. It will be worse for these two cos they brought this money from there previous Birth By steeling in Hell. People are not fools these two guys did not have a job till MR became the President. They were Rural Boys. In any demoracy worth it’s name the President should have resigned. But here?? At least, the Inland Revenue authorities should hold an enquiry how these two boys found the money to finance thsse two very expensive investments and the report forwarded to Parliament and known both to the House and the Public via the media. Steps also should be taken to ascertain if these shareholders have declared their assets in the previous IT year. obe daruwata suba anagathayak, sri lankan style. he wants to go for the third term too. to rob more i suppose. So what exactly is the problem? Why is it news worthy? Chairman: V.P. Malalasekera, cricketer ex Cambridge and Barrster. News worthy?? Where the money comes? Yoshitha and Namal must declare it!! It is news worthy cos there are so many qulified youth who doesn’t have a Job and nor do they have a proper meal for days, Evern in Tangalle where these people came from Go and see to your self Sir. When idiots like you keep asking such dumb questions I see no salvation for this country.. Can imagine you must be one of those people who voted for PABA..
I’m ashamed of myself being a Doctor. Y didn’t my father be a President or at least a politician. lol.. I am a stock broker and I actually checked this out. They have bought their shares on credit. Once they get a profit from the shares they can pay the credit and keep whatever is left over from the profit. That’s how its works.. Someone who has invested in stocks will know what I am talking about. They don’t need money to buy stocks they can have 5 days credit period and pay it off once they get a profit. This facility is only approved for them, Cos If we ask they will ask for all sorts of security. Anyone has to go through security like when getting a bank loan.. Its the normal procedure.